Indian food is definitely a big inspiration for cooking vegan. 30-40% of all Indians are vegetarian. That’s about 350 million people! 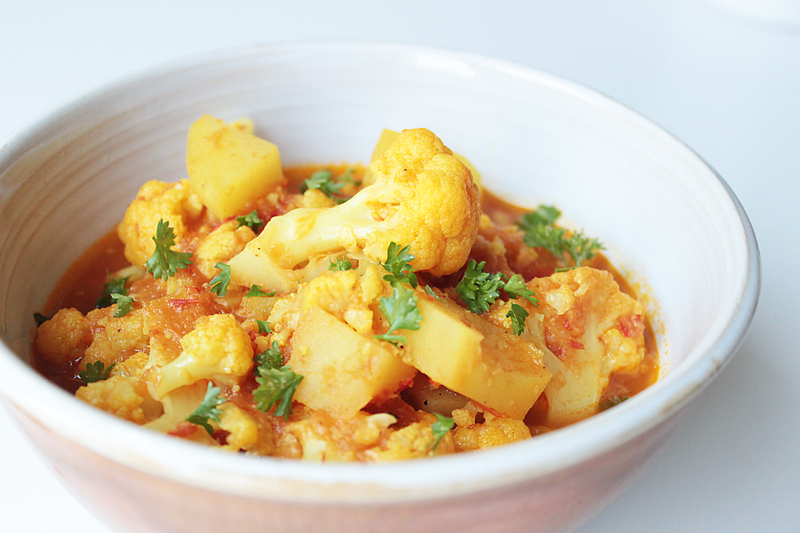 Aloo Gobi is one of the classic Indian dishes and it consists of mainly potatoes (aloo) and cauliflower (gobi) with tasty spices. Of course you can find thousands of different recipes (even all over India) for it. 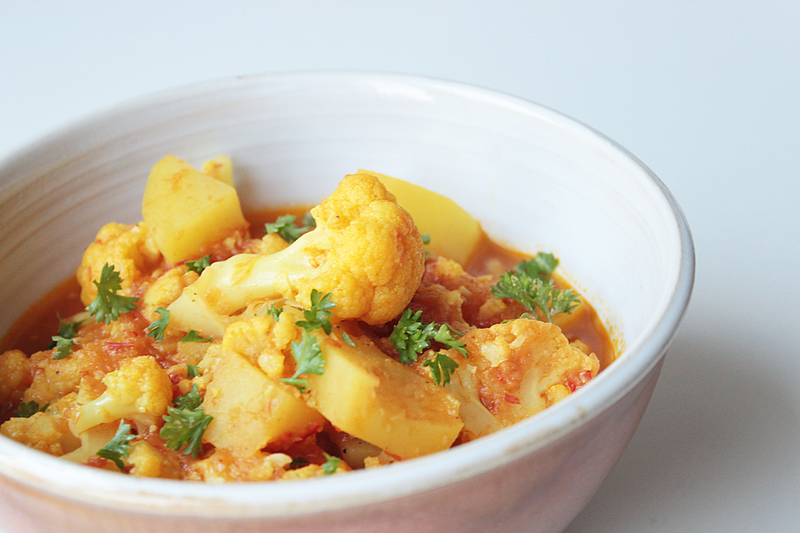 My version is not as dry as many others, so I call it aloo gobi curry style. Oh, and it is super easy and cheap to prepare. Blend the onion, tomatoes, ginger, garlic and chili to make your own curry paste. Peel and dice the potatoes. Cut the cauliflower into florets. Heat the oil in a large saucepan over medium-high heat. Add the spices (turmeric, coriander, garam masala) and fry them for a minute. Add potatoes, cauliflower, curry paste and 400 ml of water. Cover with a lid and let it all cook over low to medium heat for about 30 minutes or until the vegetables are nice and tender. 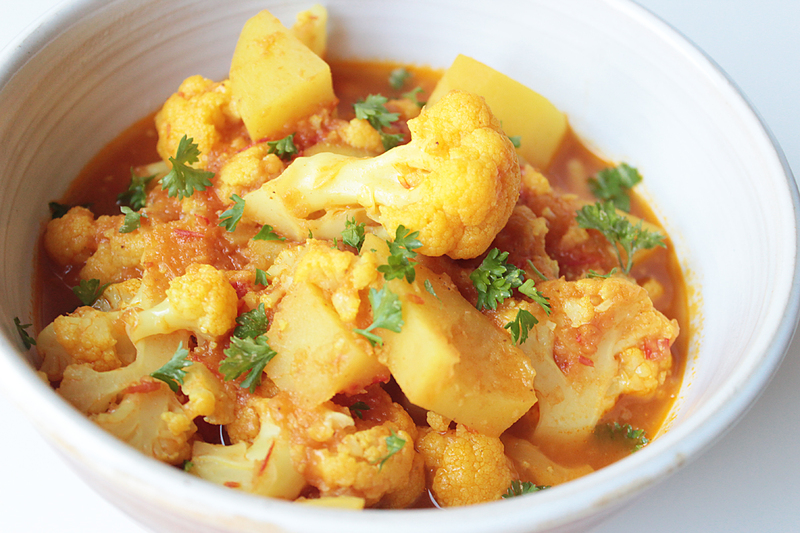 That’s it, your aloo gobi is ready to serve! 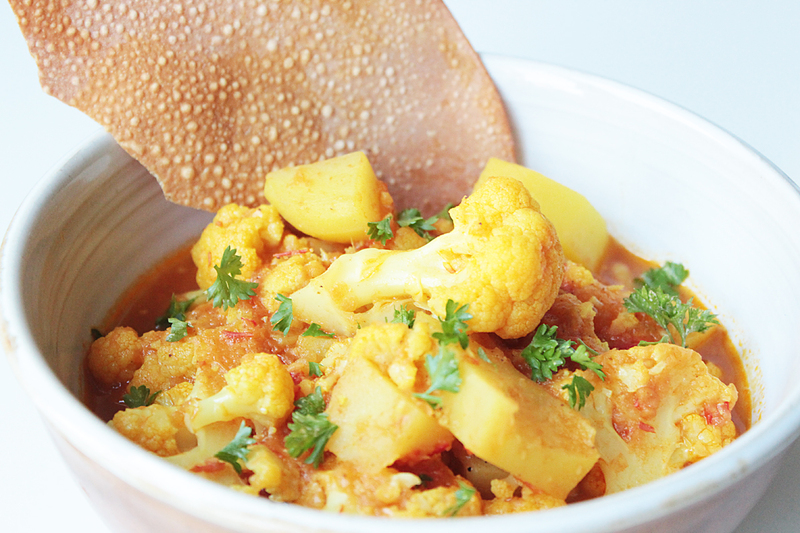 Optional: Serve aloo gobi with rice, chapati, naan or papadum and garnish with cilantro or parsley.